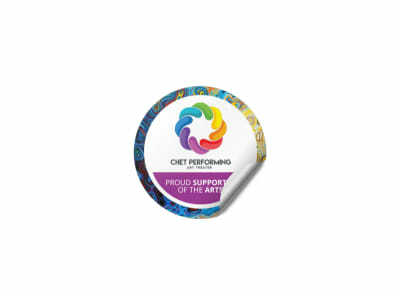 Give your fan club a simple way to express their love for your music, identify your orchestra’s stands and instrument cases, or give exhibit attendees a low-cost way to bring a piece of your artwork home, all while promoting your talents far and wide by customizing a fabulous set of stickers. 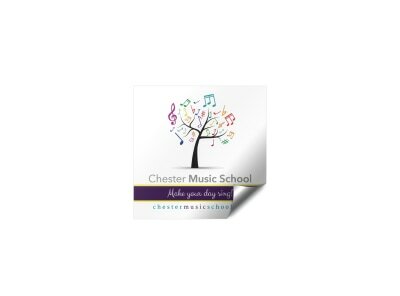 Our designers are regularly developing new music & arts sticker templates to fit every musical style and artistic influence. Add your creativity to the mix by using our online editor to create a unique design that reflects your own one-of-a-kind personality and point-of-view. 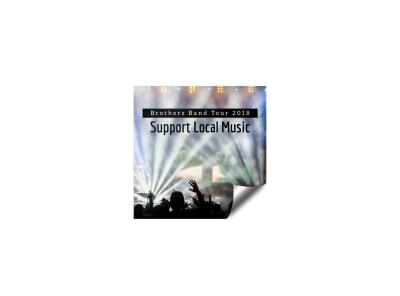 Print your finished sticker and make a few new friends (fans?) along the way! 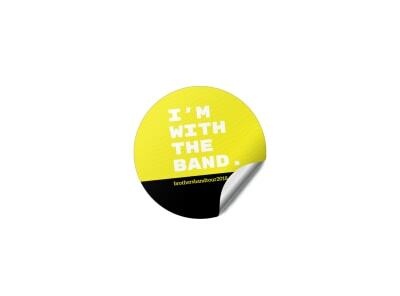 Make it easy for your groupies to say, “I’m with the band” by generously distributing custom-made stickers that turn your “band-aids” (thank you, Cameron Crowe!) and their accessories into walking billboards. 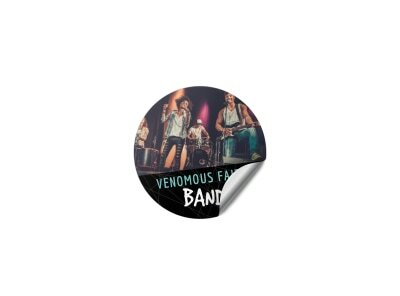 Affixing their favorite musical group’s fantastically-designed sticker to their guitar case, phone cover, or even their car (for those who like to live dangerously😊) tells the world around them that they think your band is the bee’s knees. Our professional designers (aka your next big fans) know how important it is to give a consistent public image when promoting your musical act, so they are always hard at work to create new and exciting band sticker templates for you to customize. Use our online editor to make your chosen design sing, then hit print. Hand them out freely at your next soundcheck or meet-and-greet and watch your name spread like wildfire (or at least wild stickers, you shouldn’t play with fire)!